Mobvoi is originally an AI company but has made waves in the smartwatch industry the past few years for their affordable and excellent TicWatch Wear OS watches. 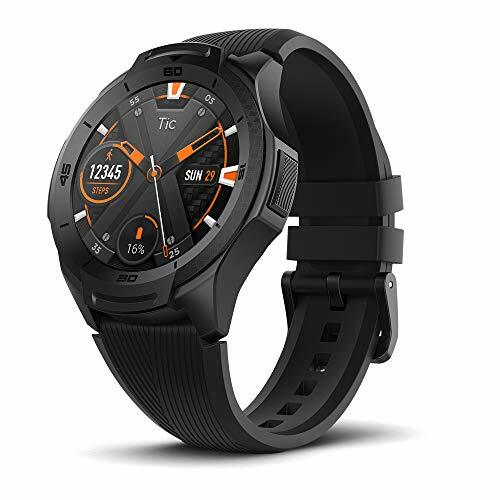 Following the success of the original TicWatch S and E they have now been following up with a second generation featuring the more powerful Qualcomm Snapdragon 2100 chipset. While this is an improvement, the 2100 chipset is quite old now and watches with the new Snapdragon 3100 are coming out this year. This is my first foray into Wear OS watches, as a fitness fantastic I am a Garmin convert and currently use the Fenix 5S but that cost £350, and the new Plus range version costs a whopping £580. Garmin is amazing for fitness tracking, and I like their smartwatch features, but I can help but feel the allure of Wear OS which is much more feature rich (outside of fitness). So, I decided to buy the TicWatch S2 with the hope that it could be my day to day watch that also tracks things like gym workouts or other activities where I am not bothered about connecting a bunch of sensors. As this is my first experience of Wear OS, and with my passion for fitness, I will be making a lot of comparison to the Fenix. It is not a like for like comparison due to the price difference and the fact that the Garmin is more a fitness watch with added smartwatch features, whereas the Ticwatch is the other way around. The S2 and E2 are almost identical in features; the only differences are the S2 is a rugged sports look and is US Military Standard 810g rated making it more durable. Both watches are rated for 5AT waterproofing, so you can comfortably use either for fitness tracking including swimming. Neither of these watches have NFC which is a big omission as far as I am concerned, I have come to love Google Pay and the convenience of paying with my phone. The TicWatch S2 doesn’t look too pretty in the product photos, and it certainly looks no better in real life, its all polycarbonate case gives it a plastic look and feel up close. Though the overall build quality feels durable and it should easily handle a few knocks. To be honest, I should have bought the E2, it is both cheaper and much nicer looking, and I am not sure if the US Military Standard 810g is worth it or needed. Maybe if you do a lot of activities that bash you about a lot like mountain biking etc, but for road running and cycling, I doubt I need it. Wear OS watches all have a poor battery life in comparison to fitness trackers and sports watches. This is no exception, I suspect it is average compared to other Wear OS watches. I initially wrote this section after only using the watch with the always on display, which was activated by default. Switching it off significantly improves the performance, so unless you are happy charging twice a day, switch it off. With the always on display the TicWatch S2 can get through a day with low usage, and no heart rate tracking. For me, this would include no usage apart from notifications, plus about 90mins on none GPS fitness tracking. Enabling the 24/7 heart rate monitor meant I needed to charge the watch twice a day. One example day I charged to 100% by 12pm and at 4am when I got up the next day it was down to 8% that was with the watch in DND, Bluetooth off from my phone and screen off when I was sleeping. For many, it won’t be the end of the world. I used to have to charge my phone more than once a day, and I lived with it fine. The battery does charge up incredibly fast, I haven’t timed it, but it can’t be any longer than an hour, I just put it on charge when I get back to my desk and when I remember to check it always fully charged. With the screen off I was able to get over at least a day and a half usage with the HRM off and moderate use. With the HRM on I was able to get a bit over a days’ worth of use. Its not amazing but I could probably live with it. So overall I would strongly advise to keep the always on display off, the flick of the wrist action works well so I never had to mess around with the watch to wake it up. For long running or cycling sessions, the keeping the screen off will be essential. I doubt it would last a marathon in its default state. As expected, the overall OS is fantastic compared to Garmin, there is so much more functionality plus the screen and touch interface make this far easier to view and deal with notifications. With Garmin it is a chore to view previous notifications, whereas the TicWatch is a quick swipe left and you can view more way more information than the Garmin. Many people state that there is laggyness sometimes with all smartwatches, but I haven’t experienced it much yet. Sometimes touching an icon on a screen doesn’t work, and maybe this is due to laggyness or more likely my fat fingers on s small screen. There is a similar issue with this and Android phones, there are competing apps which makes it a little confusing at first. You have the built-in Google fitness apps then you also have the Tic branded ones. At first, I overlooked the Tic once and used Google, which then didn’t display the data on my watch stats. It is not a significant problem, just an example of the fragmentation with Android. The App store is also far superior, Garmin does have one, but it is very limited. The highlights include Spotify, Google Maps and home automation apps. With Spotify, while it is great, I was only able to control other devices such as my phone, or Sonos, there was no Bluetooth streaming even when I paired with some earphones. With Google maps, I normally use earphones and vocal directions so I don’t look too much like a tourist, but being able to quickly view directions on your watch is amazing. My initial results with fitness tracking have been quite poor. All wrist based optical HRM is quite poor dependant on your activity, and I have found this to be worse than usual. It suffers similar issues to Garmin, for gym workouts and bike rides it struggles to lock on to a heart rate for the first few minutes, resulting in 10 minutes of useless data. Again, similar to Garmin and Suunto you can improve this by adjusting the position, I find wearing the sensor on the inside of my wrist, relatively tight, and a little higher up is the best. This reduces movement and avoids hair getting in the way. Moving it to the inside of my wrist meant I frequently brushed against the screen and inadvertently paused the exercise I was doing. So on a 70m Zwift session, it logged 50mins. With Garmin, I find that once it gets a heart rate reading it is quite accurate, it's never as good as a chest or upper arm sensor but it is good enough. With this, I found it had issues with all my attempts at tracking. With one Zwift session, it wouldn't go above 135bpm. Another, once it picked up my heart rate properly it looked like it was doing OK but regularly had dropouts causing my average heart rate to be 135bpm vs 150bpm on the Garmin. Calories estimations are just wrong. I am 6’1 and 185lbs and around 15% body fat. Due to my high levels of activity, my TDEE is about 3400 calories. I find Garmin a little bit generous and it typically estimates my calories to be 3500-4000. On the 28th Garmin had me at 3500 calories, whereas the Ticwatch had me at 1454. This number has been going up gradually, so it could be that my wrist placement has improved and therefore accuracy is improving or it is adjusting my calories slowly as it learns my activity levels. Due to injury, my testing hasn’t been as thorough as I would like and I will update this review the more I used it. As an affordable smartwatch, this is great, I do love the functionality that Wear OS brings compared to fitness based watches like Garmin and Suunto. The more I have used it the more it has grown on me over the past couple of weeks. For casual runners, gym use and swimming this will be perfectly fine and much more wallet-friendly than the Fenix series. It is even cheaper than my old Garmin Forerunner 235. 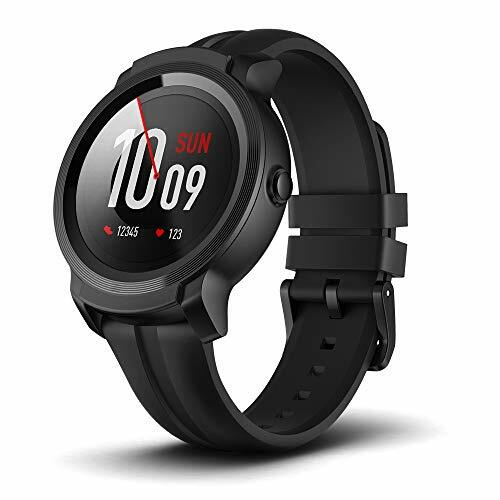 Due to the superior aesthetics and lower price point, I would suggest that the Mobvoi TicWatch E2 is a much better buy.